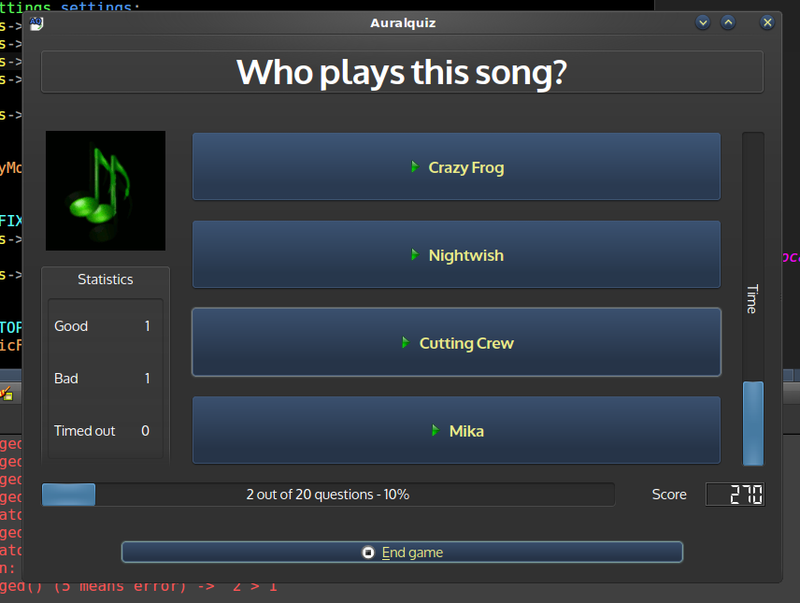 Taking a little break from Dianara, I’ve finally “resumed” development of the music guessing game I started a few years back, Auralquiz. It’s been a while! Dianara v1.2.3 released! Yes, that’s a real version number. Once again, another small release of this pump.io client. The most notable new features are font configuration, the option to send direct messages to people from the avatar menus, and the button to open ‘parent’ posts. You’ll see the ‘Parent’ button if a post in your timeline is actually a reply to something else. This can happen if someone shares a comment, for instance. Ability to open the parent post for posts in the timelines, if they were replies to something, such as a shared comment appearing in the timeline. 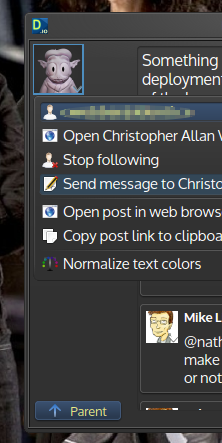 Option to send a message to a contact directly from the avatar menu and from the contact list. Show your user ID in popup notifications. Useful if you run more than one instance of Dianara for different accounts. Show total number of items in timelines, in the tooltips of their tabs, and the total number of pages with the current page number, at the bottom. Show how many Meanwhile items are highlighted, among those that are new. Some settings in Configure dialog have been rearranged. Filter comparison for “Activity description” removes links from it, allowing for simpler rules. More details about post location, in the tooltip of the location name. Fixed Meanwhile feed growing very wide sometimes. Fixed Edit button not working on posts opened in separate window. 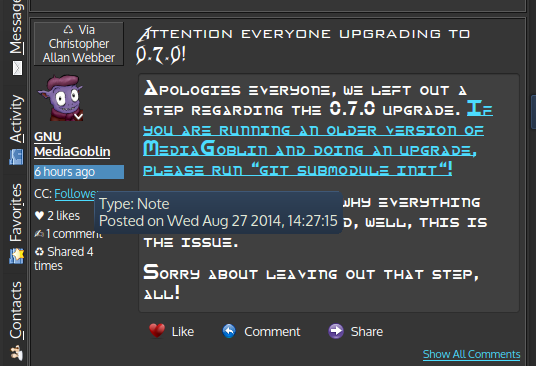 Other bug fixes and minor changes. Dianara 1.2.3 is available in English, Catalan, Spanish and Italian languages. Partial German and Polish translations are included. You can find Fedora packages at Metal Biker’s repo. You can also find Dianara in Archlinux’s AUR, and there is a Gentoo ebuild. Also, a fellow pumper, LuisGF, provides builds of Dianara for MSwindows and is working on builds for OSX. You can get the code from Qt-apps.org: http://qt-apps.org/content/show.php/Dianara?content=148103. If you need or wish to build from source, check the INSTALL file for details on how to build it and the necessary dependencies. You are currently browsing the Jan+KDE blog archives for September, 2014.